Please click the image above to read my piece on Dwayne ‘The Rock’ Johnson for Little White Lies. Above is my leatest column “At The Movies” as it appears in Oxford Journal, Oxfordshire Guardian and Basingstoke Observer newspapers. 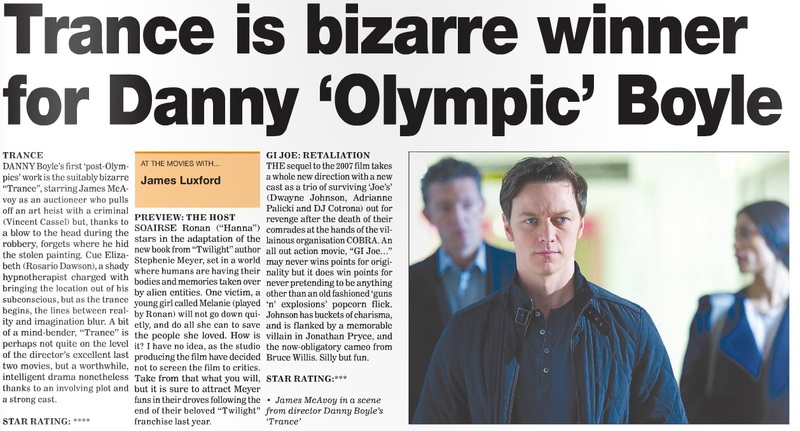 I’m reviewing the new cinema releases for 29th March, including “GI Joe Retaliation”, “Trance” and a preview of the film “The Host”. Please click the image above to read a larger version of the article, or click here to read the article in the Journal’s “E-Paper”.